Weird & wonderful wedding trends: Should you adopt them? 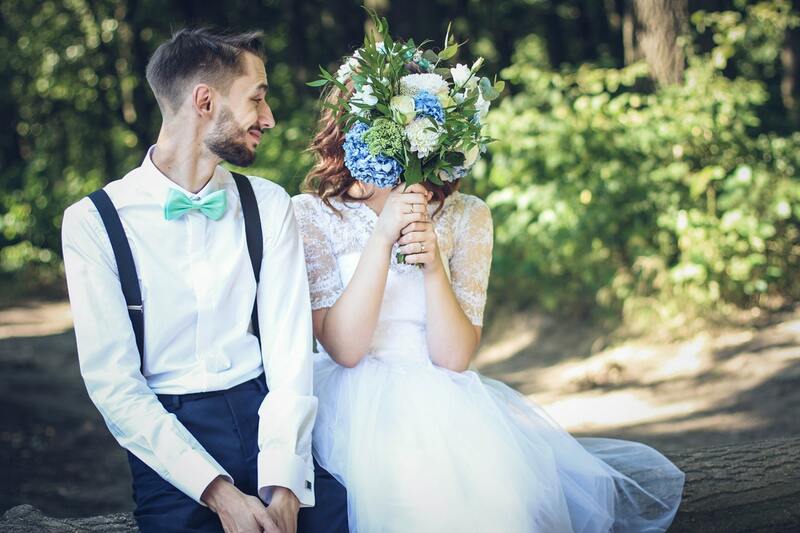 Everyone wants a special wedding day, and while it no doubt is the most special day of the couple’s life, the reality is that a generic, run-of-the-mill wedding could just blend into the memories of the guests. In this age of social media, everyone wants to be the centre of attention, and having a fancy wedding day that’s social media worthy with a head turning feature is just one way to rack up those likes and get people talking. Thanks to more couples looking to impress their friends (and followers), wedding trends are becoming more weird, and more wonderful. Whether it’s with a herd of alpacas acting as ring bearers, drones being used for photography, or even a destination wedding, the wedding industry is being shaken up. Here, we’ll look at some of the trends, and how you can adopt them into your own plans, if you choose. Destination weddings are becoming more popular. According to Trip Savvy, 25% of engaged American couples opt for a destination wedding, mounting up to a massive 340,000 weddings per year, on average. Heading abroad for the wedding gives couples the chance to explore new destinations, and can give their wedding photos an edge, especially if they choose a particularly remarkable backdrop, like on a cliff in Barbados, or a sandy beach in the Maldives. Game of Thrones fanatics, for example, may choose to head to one of the real filming locations, located in Northern Ireland, Malta, Croatia, Iceland, Spain, or even Morocco. However, it can be difficult to plan an overseas wedding, especially if you’re not overly familiar with your chosen area. In this case, hiring a specialist wedding planner will be a massive help, as they’ll be experts in dealing with weddings taking place abroad, and can help relieve a lot of the stress that come with wedding planning, and will be able to advise you on the proper steps to take. Luxury wedding planners Snapdragon, for example, are experts in dealing with any legal restrictions that come with an overseas wedding. As they point out to clients who want to get married in France, there is a residency period of at least 40 days immediately prior to the wedding, so you won’t be able to legally wed there, unless you or your spouse has been living there for a couple of months. Wedding planners will be able to let you know these facts from the get-go, giving you the chance to properly and legally plan your wedding. Whether it’s as a ring-bearer, or simply just an adorable photo opportunity and entertainment for all the family to enjoy, more couples are choosing to hire out animals for their big days. Alpacas are a rising trend for many couples, and there are now a few companies dedicated to providing alpacas and llamas specifically for weddings and events. The fluffy wedding crashers come appropriately dressed for a wedding, with tiny hats and bow ties, and pose with guests for photos. In Oregon, Lori Gregory is making a name for herself and her herd of llamas and alpacas by providing the therapy animals for events. The animals were first used to help calm the anxious, and cheer up those suffering from depression for a while, so are used to being around strangers. Now, her business, Mountain Peaks Therapy Llamas and Alpacas is scheduling more and more weddings for the five llamas and three alpacas. Couples are also looking at involving their beloved pets in their wedding day, whether this is as part of the photoshoot, or in the ceremony. There are even adorable cases where the pets have “dressed up” for the occasion and some couples will even have their beloved pets walk down the aisle alongside the groomsmen and bridesmaids. It’s easy to involve animals in your wedding, but if you’re opting to include your pet it’s a good idea to have someone dedicated to looking after them and ensuring they remain calm and aren’t overwhelmed with all the guests. This should be someone that they’re already comfortable around, and won’t be afraid of. If you’re looking to hire more exotic animals on the day, ensure that you’re working with an expert who takes proper care of the animals, and that they’re equipped to deal with all the guests on your wedding day. You don’t want to overwhelm the animals, or scare them. 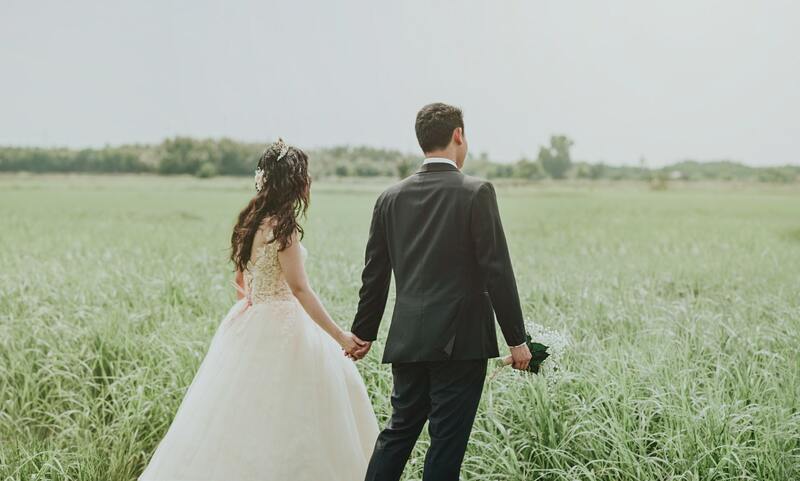 More and more couples are opting to have drones film their weddings days, and the rising trend is leading to some truly gorgeous wedding videos and photos. With a drone, you’re able to get an aerial view of your wedding, which makes for some spectacular shots for outdoor weddings. Drones can film key moments of the day, take artistic shots, capture candid moments, and show off the entire venue in all its glory better than a traditional camera. However, it’s worth noting that flying drones are very weather-dependent, so if you’re having a winter wedding a drone may not be possible, due to the risk of high winds and rain. You can have the choice to have the drone capture images or film the wedding, and both options make for some stunning additions to your wedding album. One of the biggest benefits to having a drone is being able to capture more candid moments as it flies above guests heads, and they may not notice it’s there. It’s much less obtrusive than a classic cameraman, and can work alongside the photographers for a variety of footage. The cost of a drone varies, and is dependent on what kind of camera is used, as well as the quality, and how long it’ll be used for. It’s worth discussing with the operator, and choosing what parts of the wedding you want captured on a drone. However, you should note that they can be a little noisy (due to the powerful motors) so this may not be appropriate for quieter moments, such as during the wedding ceremony and speeches. Rather than a traditional three-course meal, more couples are opting to have their favourite food trucks present at their reception to feed hungry guests. According to the Pinterest Wedding Report, there has been a 120% increase on searches for food stations, from pizza to taco bars. More couples are also looking for vegan menus to serve up, as well as snack bars to keep any hunger pangs at bay. This allows guests to customise their food, and doesn’t constrict them to one set meal chosen by you and your partner. It also encourages guests to mingle with each other, as they have the chance to get up and order food, rather than sitting in their designated seat with table service. If you are going down this route, ensure that the staff will have enough supplies on hand to feed all your guests. Drinks are also becoming more varied at weddings, and a survey by wedding register experts Zola found that custom cocktails are on trend for 2018 weddings, with 38% of couples choosing this service. Cocktail bars usually feature a handful of cocktails on a menu that staff can quickly serve up to guests, as well as an assortment of shots. The craft beer trend is also seeping into wedding culture, and 31% of couples confirmed they would be serving the bitter beverage at their reception. These bars can work alongside the food stations, offering a much more relaxed and laid back approach to guests. 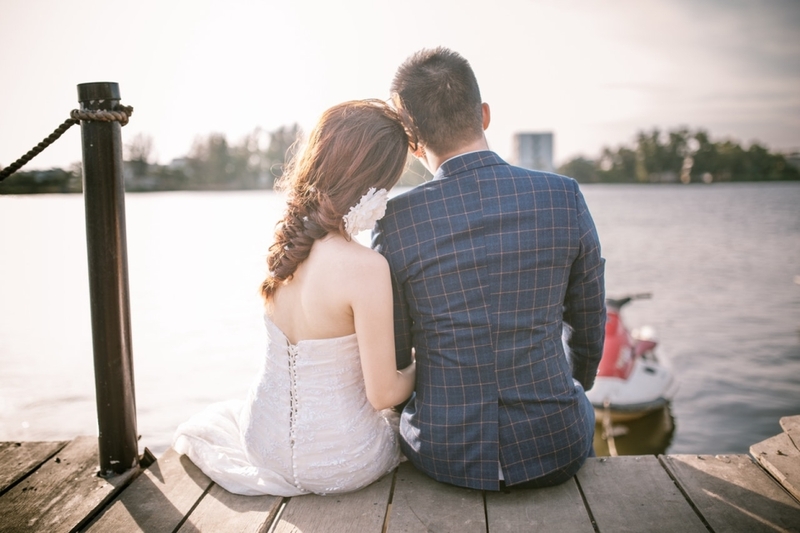 There are a number of ‘in’ things you could choose for your wedding, but the most important part is to choose something that resonates with you and your partner as a couple. Plan your wedding depending on what’s realistic for the weather and location, and more importantly, what you both like and enjoy.